Star Wars, Star Trek, Harry Potter; there have been countless films with slightly crazy fanbases over the years. 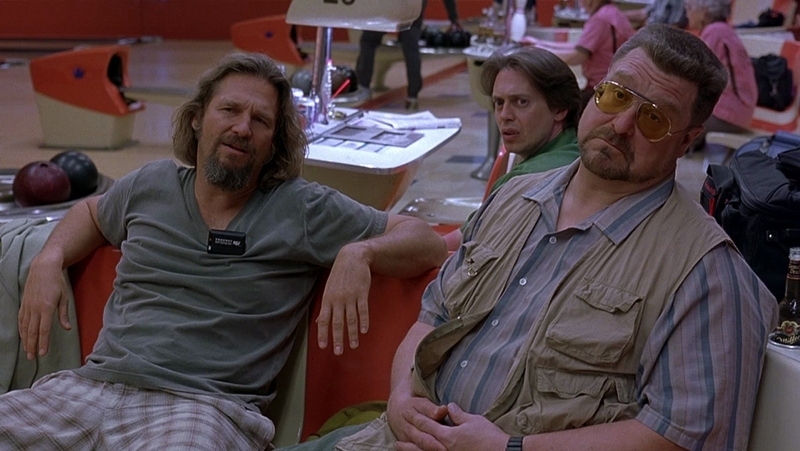 The Big Lebowski is funny, endlessly quotable, and features one of the best movie characters of the past 30 years. That said, we don’t quite love it enough to, say, start a religion based on it. Dudeism (we promise this isn’t a joke) is a spiritual movement entirely inspired by The Big Lebowski’s main character, The Dude. The main ‘goals’ of the religion are to take it easy and maybe find peace and goodwill on earth as long as its not too much effort. It’s mainly the taking it easy bit, to be honest. This isn’t just some super fan running a religion from their bedroom either; at the time of writing, there are over 220,000 Dudeist priests worldwide and they even have their own version of the Bible, The Take It Easy Manifesto. The Room is one of the worst films ever made, yet has more dedicated fans than your average Hollywood blockbuster. And it’s all because of one man: Tommy Wiseau. Wiseau wrote, directed and (most importantly) starred in The Room, which is about a man whose girlfriend cheats on him with his best friend (and a load of other stuff that isn’t really followed up on). Watching Wiseau act is like watching a dog trying to act like a human. He delivers lines like he’s only just learnt how to talk (even though he wrote the lines himself), conveys emotions like he’s never left his house and laughs unlike any other human we’ve ever heard. Put simply, he’s a force of nature and the sole reason The Room is screened across the globe on a regular basis to thousands of adoring fans (including Jonah Hill, Edgar Wright and Paul Rudd). We featured Troll 2 in our post on the best worst horror movies a couple of weeks ago, but we love it so much that we’re going to give it another airing. In case you’re not familiar with this classic piece of cinema, Troll 2 is about a legion of vegetarian trolls who descend on a town to eat its residents. You’ve probably spotted the logical flaw in that plan (vegetarians can’t eat human meat, as far as we know), so this is explained by the trolls (who are actually goblins) turning the townsfolk into vegetables first. Like The Room, though, Troll 2 has gained a large cult following just for being terrible. After years of midnight screenings across the globe, Troll 2’s fanbase grew even further after it was featured in the documentary Best Worst Movie. Alright, so technically Twin Peaks is a TV show, but it has possibly the most dedicated fan community of any media franchise ever. Despite Fire Walk With Me being released over 12 years ago, Twin Peaks has maintained a loyal community to this day. The show’s weird folksy charm has inspired countless bands (Bastille being a good recent example) and filmmakers, while mega-fans of the show regularly descend on the annual Twin Peaks Fest (with various offshoots across the globe). However, there was no sign of any future instalments of Twin Peaks – until recently, when the faith of fans was rewarded with a brand new series due to air in 2016. If you’re looking to clear up your movie collection, why not sell some DVDs with musicMagpie?